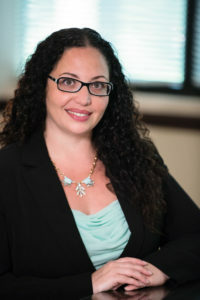 Workers Compensation Law in Florida – Diana I. Castrillon, P.A. It is estimated that there are as many as 100,000 Florida residents injured on the job every year. Most of these individuals will receive benefits from the state’s workers’ compensation law, but not everyone is quite so fortunate. Like most states, Florida has had its share of difficulties trying to balance the needs of injured workers against the interests of insurers and employers. It is a very complicated and difficult process and the state must try to keep costs low while assuring that injured workers receive the benefits that they need. Laws regarding workers compensation in Florida, and in other states, are complicated and often subject to frequent change. For the most up to date advice regarding your rights as either an employer or an injured employee, it is recommended that you consult with an attorney. The most basic explanation of workers compensation is that it is a state program which requires employers to obtain an insurance policy which will cover employees if they are injured at work. The employer pays for the insurance premium but like many medical expenses it is passed on to the consumer eventually in the form of rising prices. The law in Florida requires that any employer who has four or more employees must have appropriate workers compensation coverage. This coverage is for employees only and does not include independent contractors, volunteers, or casual laborers. The injury must be a direct result of the workers employment. This means that in order for the employee to be covered under the law the injury must have occurred while at work or while doing an activity which is related directly to his job. Employees may also be covered when at work related functions or while doing any activity mandated by his employer. The benefits that an employee can receive from Florida workers’ compensation include whatever medical care is necessary and reasonable. This includes medical supplies which a physician has deemed necessary. An employee that has been injured may also be entitled to lost wages. If the employee misses seven consecutive days of work, then he or she is entitled to 80% of their pre injury wages. There is also financial compensation for an employee who has suffered a permanent physical handicap or loss of a bodily function. An employee’s spouse or dependent is also entitled to up to $100,000 of benefits if the employee dies because of a work related injury. Call South Florida injury lawyer Diana Castrillon today to find out if you qualify for workers’ compensation.